Publisher: J. B. Lippincott, Philadelphia. 7th English edition. No date, inscription dated 1925. Condition: Hardcover, no dust jacket. Very good. Slight wear to cover, tanned pages. Inscription on ffep. Binding tight. Profusely illustrated with pictures and diagrams. A very heavy, thick book. Overseas shipping will cost extra. 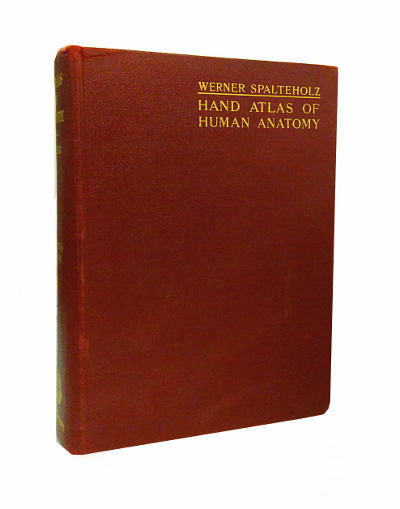 A classic textbook on human anatomy, first translated into English between 1901-1903, in 3 volumes. 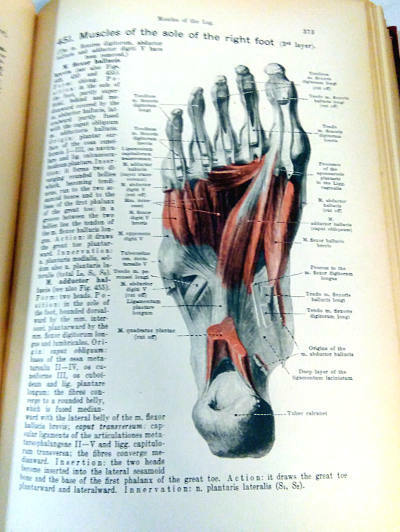 The copy on hand is a single volume edition, combining all 3 volumes, copiously illustrated in colour and black-and-white, with illustrations and X-ray images. Vol. 1. 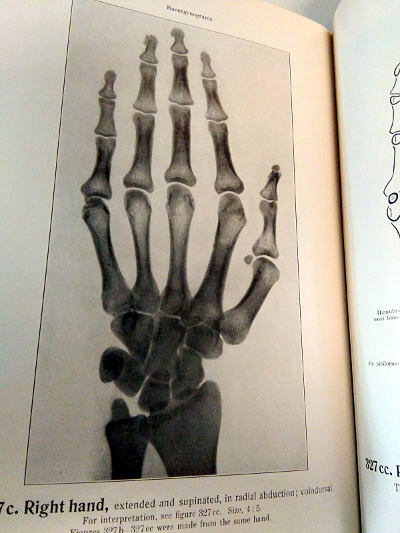 Bones, joints, ligaments. Vol. 2. Regions, muscles, fasciae, heart, blood-vessels. Vol. 3. Viscera, brain, nerves, sense-organs. 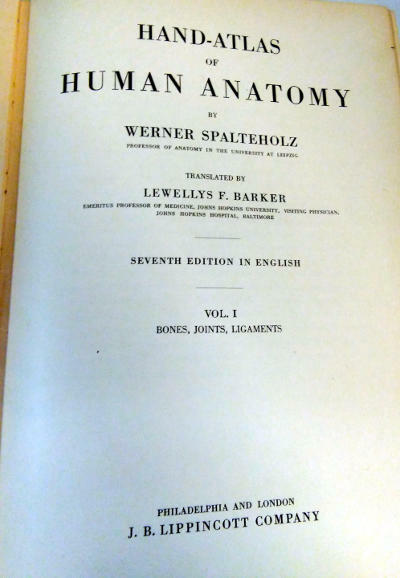 Werner Spalteholz (27 February 1861 in Dresden – 12 January 1940 in Leipzig) was a German anatomist. 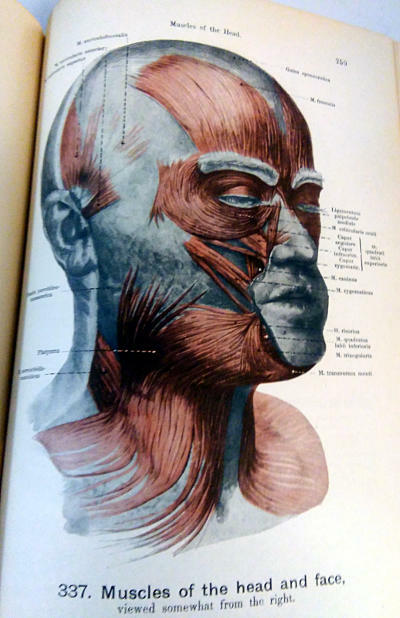 From 1880 to 1885 he studied medicine at the University of Leipzig, where in 1891 he obtained his habilitation for anatomy. 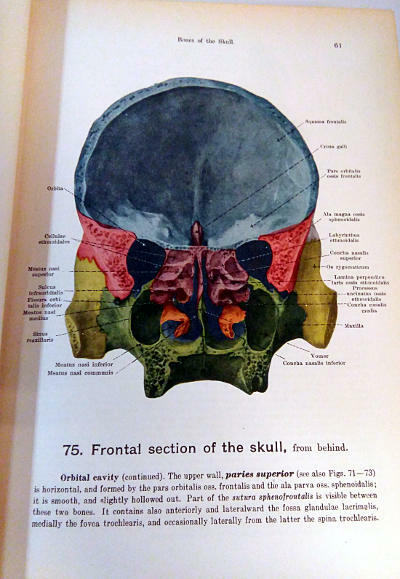 In 1892 he became an associate professor and curator of the anatomical collections at the university. During World War I, he initially served as chief physician, then as director, of a reserve hospital in Zwickau. He was instrumental towards the establishment of the German Hygiene Museum in Dresden. He is credited for developing a method for making human tissue translucent by drenching it in liquids with similar light refraction properties as the tissue. Examples of transparent organ specimens that he produced were put on display at the First International Hygiene Exposition in Dresden (1911).